2007. Debut release on Hypnos Secret Sounds by Darren Rogers, who has previously released a number of recordings both solo, and in collaboration with Rigel Orionis. 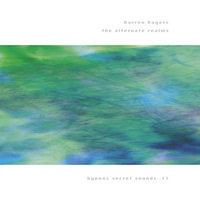 The Alternate Realms is a visual, thought-provoking journey through varied sound-worlds. It's part ambient atmsopherics, part deep and somber space music.